It was a vulgar word in the swank millionaire town of San Valdesto. But knocking off a few citizens here and there seemed more than a grave social error to a tough-minded detective like Joe Puma. It made him sore when he discovered the natives would rather protect a well-bred killer than put up with a low-brow private eye. So he taught them a lesson and his red-blooded tactics set the town’s blue blood to boiling. 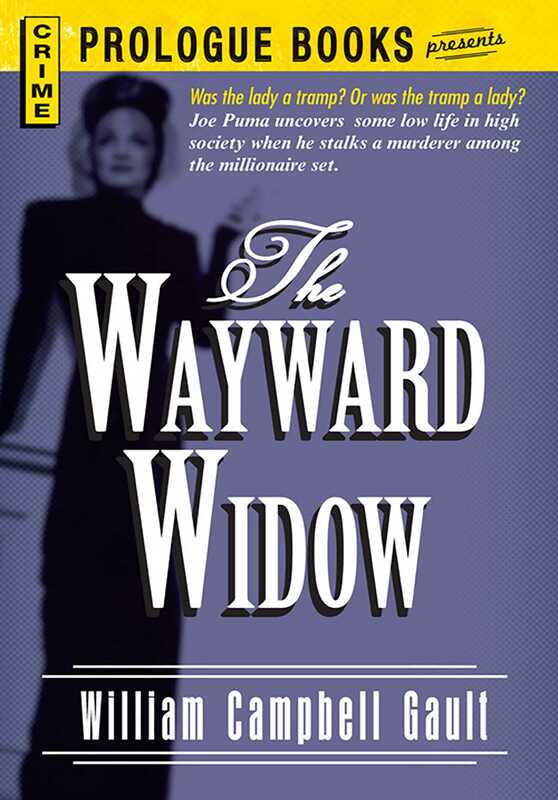 The Wayward Widow...another mad whirl on a murder-go round with that damsel-chasing knight in amour - Joe Puma.